UTI Bank opened its registered office in Ahmedabad and corporate office in Mumbai in December 1993.The first branch was inaugurated on 2 April 1994 in Ahmedabad by Dr. Manmohan Singh, the Finance Minister of India. UTI Bank began its operations in 1993, after the Government of India allowed new private banks to be established. The Bank was promoted in 1993 jointly by the Administrator of the Unit Trust of India (UTI-I), Life Insurance Corporation of India (LIC), General Insurance Corporation, National Insurance Company, The New India Assurance Company, The Oriental Insurance Corporation and United India Insurance Company. In 2001 UTI Bank agreed to merge with and amalgamate Global Trust Bank, but the Reserve Bank of India (RBI) withheld approval and nothing came of this. In 2004 the RBI put Global Trust into moratorium and supervised its merger into Oriental Bank of Commerce. In 2003 Axis Bank became the first Indian bank to launch the travel currency card. In 2005, Axis Bank got listed on London Stock Exchange. UTI Bank opened its first overseas branch in 2006 Singapore. That same year it opened a representative office in Shanghai, China. UTI Bank opened a branch in the Dubai International Financial Centre in 2007. That same year it began branch operations in Hong Kong. In 2008 it opened a representative office in Dubai. 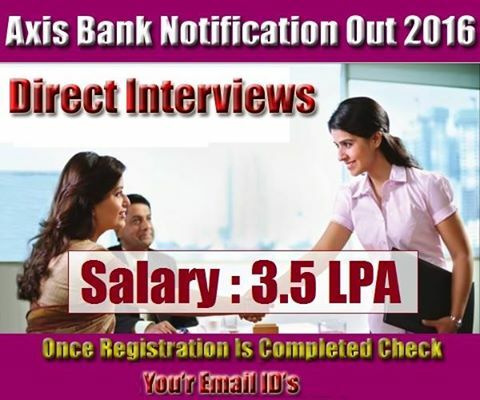 Selection Will be Based on /either Written Test / Personnel Interview / Other Mode by the Axis Banknorms or decision .